1-Explain which factors will be impacted in transitioning a traditional department towards the use of an E-procurement system? 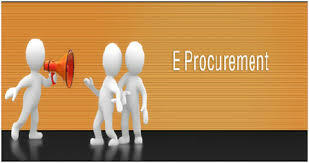 The application of the Internet in conjunction with other information communication tools and technologies in an effort of carrying out all procurement stages is what constitutes e-procurement. The process aims at integrating all procurement activities present in the traditional department and transforming them into an online service. The application is designed from end to end to capture and integrates all the activities of the department (Vaidya & Campbell, 2014). The procurement processes that are prone to change once the application of e-procurement is adopted include the search, sourcing, negotiating, ordering, receipt, and post-purchase activities. In a traditional department, paper files are used for tracking and keeping tabs on transactions. Once an e-procurement system is adopted, this action is replaced by electronic data that can be quickly changed and manipulated to make decisions that rhyme with the needs of the organization. Planning and decision-making are also activities that are carried out manually in a traditional department (Davila, Gupta & Palmer, n.d.). With the adoption of an e-procurement system, these activities are heavily influenced by technology. For example, choosing a supplier does not rely on the previous relationship of the provider with influential individuals in the organization. On the contrary, a variety of metrics is fed into an e-procurement system that assists in making a decision that is free, fair and unbiased. Therefore, human factors are heavily influenced by the transition from a traditional department towards the use of an e-procurement system. The complexity of tasks is reduced once a third party is procured. In addition to this, cost factors are reduced based on the contestability prevalent in an e-procurement process. Asset specification factors are also achieved by the organization offering the best technology that meets the needs of the organizational requirements is contracted. 2-What factors influence the adoption of E-procurement? Which factor do you believe to be the most detrimental and why? The adoption of e-procurement systems is influenced by two diverse factors; human and technological factors. On one hand, the human factors depend on the expertise and behavior of the people while, on the other, technological factors are influenced by the technologies in use (AlAwadhi & Morris, 2009). The project management, the supplier adoption and end-user training and uptake are some prevalent human factors influencing the adoption of the system. On the other hand, technological factors involve the system to be adopted and implemented. In this regard, critical factors that influence the performance of the system such as the security and authentication, integration and adoption constitute the technological factors. From the research of Dooley and Purchase (2006), the participation and intentions of the supplier are also among the dominant reasons affecting the adoption of e-procurement systems. A majority of providers enforce the need for adopting e-procurement systems in an effort of encouraging cost savings and enhance communication. A fundamental requirement for successful adoption and implementation of e-procurement systems is internal organizational support. Among the critical success factors that influence the adoption of e-procurement services, the most detrimental is internal organizational support especially from the top management. The success of any technological system depends on how it is perceived by the members of the organization. When there lacks internal organizational support, the probability of failure of the system is high. Therefore, prior to adopting the technology, it is paramount to ensure that the personnel of the organization accepts it and is ready and willing to cooperate for the benefit of the firm. When a system is perceived to be a threat by the employees, they work to sabotage its operation, and this leads to failure of the system (AlAwadhi & Morris, 2009). It becomes costly implementing a system that is doomed to failure. 3-Discuss the differences between the three models of E-governance. Which model do you predict would benefit NYC and why? The adoption of internet and web-based platforms and applications to give access to information and deliver governmental services to the citizens, agencies, employees, and government entities comprises the electronic management (Downey & Jones, 2012). E-governance is the use of ICTs strategically to deliver quality government services. The public services are offered online, and this is done to enhance transparency and accountability. E-governance models are distinguished from the way they offer services to the people. First is the broadcasting model that disseminates governance information using ICT and convergent media. The model aims at creating an informed citizenry for better decision-making (Davila, Gupta & Palmer, n.d.). Governmental activities are influenced by the participation of the citizens, their opinions and views. Second is the critical flow model that channels information of value to a targeted audience. The concept of time and distance are made redundant when the information is hosted on a digital network (Downey, Ekstrom & Jones, 2011). The comparative analysis model is used to mobilize people and, therefore, suitable for developing nations. In the e-advocacy model, the concerns and opinions of virtual teams are taken into account influencing global decisions. A directed and planned flow of information is adopted in the design in an effort of complementing real world actions. Lastly, the interactive service model opens a direct participation avenue for citizens in governance processes. Therefore, objectivity and transparency is decision-making is achieved. For a city like New York, the interactive service model would be useful if adopted. Due to the smaller geography compared to an entire state, it is possible to involve directly citizens in governmental decision-making processes. New York City is a modern and digitally evolved city and thus ICT has the potential of unifying all the people in the network. Opinion polls, electro-voting and redressing grievances online are a possibility. 4-Discuss, the role of information security and information privacy, play in the move towards E-Government. Public organizations face information security and privacy as the two significant challenges based on the role played by information technology in the administration. In the public sector, information technology systems must guarantee privacy, availability, confidentiality and integrity (Changchit, 2009). The success of these parameters depends on the implementation of security and privacy policies that are oriented towards achieving the concerns of the government in delivery its services. With increased online transactions, privacy becomes a concern. Privacy is the ability of an individual to exercise control over their personal information without surveillance and monitoring from either private or government institutions. It is privacy that enhances loyalty between the parties involved. The increased use of information collection devices such as smart phones and smart cards call for the need of privacy protection. If the collected information falls into the wrong hands, it is prone to exploitation and misuse. 5-What are some of the threats to information security and how would you control access violations or loss of data? Human factors and technological factors are the two major categories of information security threats. The most prevalent threats are human threats since they are intentional and deliberate and well calculated and have and negative impact on the online service delivery. Vandalism, theft and software attacks are also other forms of human initiated information security threats. Other include unintentional threats arising from errors such as typographic errors. Information extortion and espionage are also human initiated threats. Other attacks occur on the network such as denial of service attacks and deviation of quality of service. The obsolescence of technology is also a detrimental threat to information security (Vaidya & Campbell, 2014).Technological factors include hardware and software errors and consequent failure. Violation and loss of data are controlled through the adoption and application of information security controls. To ensure that access is not violated, various practices should be adopted such as the use of strong passwords that are periodically changed (Vaidya & Campbell, 2014). Information systems monitoring and reporting on the statistics also enforces the security. Network intrusion detection systems and application of firewalls also mitigates unauthorized access to information systems. Loss of data should be protected through the use of media backups that are stored in a secure location aware from the information source. The use of virus protections also reduces chances of data being corrupted. Where sensitive information such as personal and private information is acquired, encryption should be applied to the information in transit. With the current proliferation of technology, ensuring synchronized data stored in the cloud is the best approach to ensuring the security of the information (Fried, 1994). Downey, E., & Jones, M. (2012). Public service, governance, and Web 2.0 technologies. Hershey, PA: Information Science Reference. Downey, E., Ekstrom, C., & Jones, M. (2011). E-government website development. Hershey, Pa.: Information Science Reference.